Hemsby Tandoori in the village of Hemsby near Great Yarmouth, a takeaway serving authentic Indian cuisine. Take the A149 out of Great Yarmouth signposted for Caister-on-Sea and follow the signs through to Hemsby. 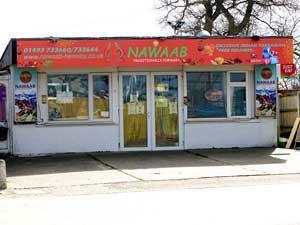 Hemsby Tandoori is located on Beach Road, take a right turn at the mini roundabout on arrival in Hemsby.